1 What Is A Heatmap? As a digital marketer, the most valuable information on your website would be to know what areas your clients click on the most, and why. To know this, you would opt to conduct a survey and have your visitors directly tell you where they are clicking, and why. But, surveys are not the most appropriate methods of gathering this information, especially because not all your visitors will respond to your questions, or even give accurate information. This is where visual analytics, especially heat maps, come in handy, for a digital marketer. A heat map is a graphical representation of data in a two-dimensional image. Usually, this data will be presented using different colors, which will show different levels of activity on a website. For example, by observing heat map results, you will understand what parts of your website visitors spend the most time, hence using that information, to informatively decide on where to place your marketing campaigns or social media icons. There are different types of heat maps, each possessing its own visualization technique. 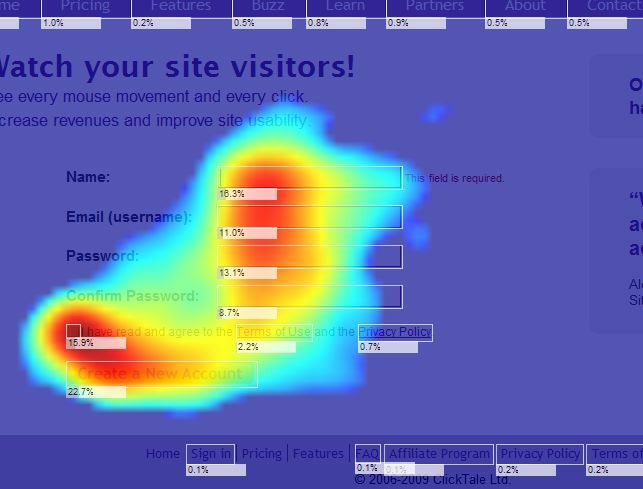 Eye-tracking heatmaps work by showing you exactly where your audience is looking at in your webpage. To get this information, eye-tracking heatmaps use complex technology and expensive software, making them the most expensive type of heatmaps. As the name alludes, this tool tells you how many visitors hover over a particular section of the page, showing how users read and navigate through your page. Consequently, this information helps you point out the most interesting and boring areas in your website. 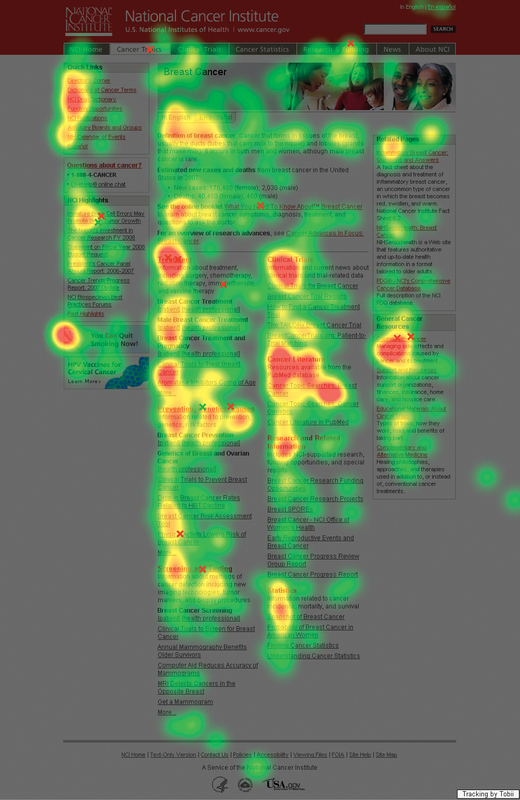 The main idea behind hover maps is that people tend to hover where they look at, meaning that there is a strong correlation between mouse-movement heatmaps and eye-tracking heatmaps. The truth is, mouse movement heatmaps borrow their technique from eye tracking heatmaps but they are not as accurate. No wonder Peep Laja, calls this tool ‘a poor man’s eye tracking tool’. Now, where is the evidence? Dr. Anne Aula, Senior User Experience Researcher at Google gave a presentation in 2010, talking about the disappointing facts about mouse tracking heatmaps. 10% hovered over a link and then continued to read around the page looking at other things. 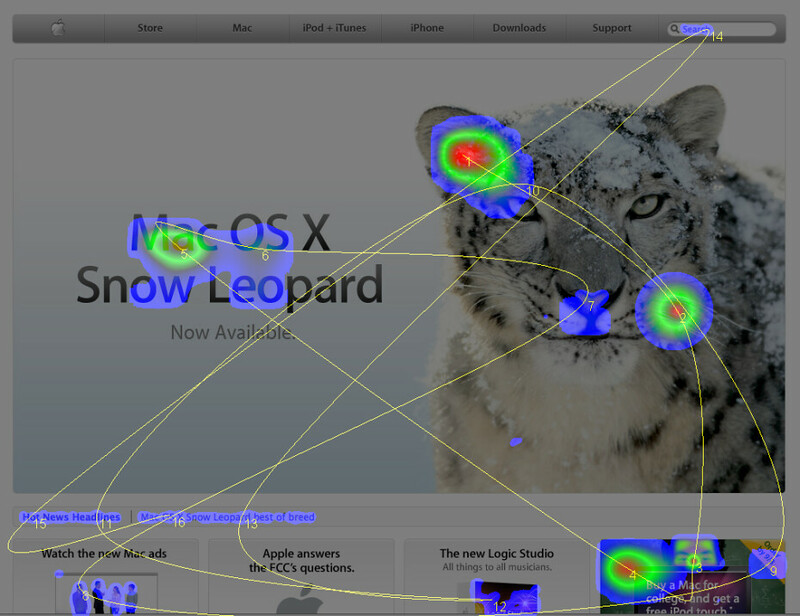 Clearly, there is a very insignificant relationship between mouse tracking and eye tracking heatmaps. Do not just rely on mouse-movement heatmaps. Instead, use a combination of heatmaps to get the most accurate data. Usually, colour intensity and what a shade of colour means, is dependent on the heat map provider. These show how far your audience scrolls down a webpage. This information is very important, because you get to know the desired length of content, and what part of the page (top, bottom or centre) you should put important CTA buttons. In addition to Google guiding you on the length of content, you can use scroll maps to know how much your audience is reading. After which, you can re-strategize on your content length. Struggling with content marketing or your social media campaigns are not picking up? Fret not, because by using different types of heatmaps, you can decipher why you are getting the desired ROI. Get a heatmap tool today, and use all scroll maps, clickmaps, hover maps and eye-tracking heatmaps, to become a better digital marketer.